Lowry visited Berwick-on-Tweed sometime during the mid 1930s when his doctor advised him that he needed to take a short break from caring for his invalid mother. A similar drawing of Dewars Lane (private collection), dated by the artist to 1936, may have been drawn during this short tour of Petershead, Thurso and Berwick. 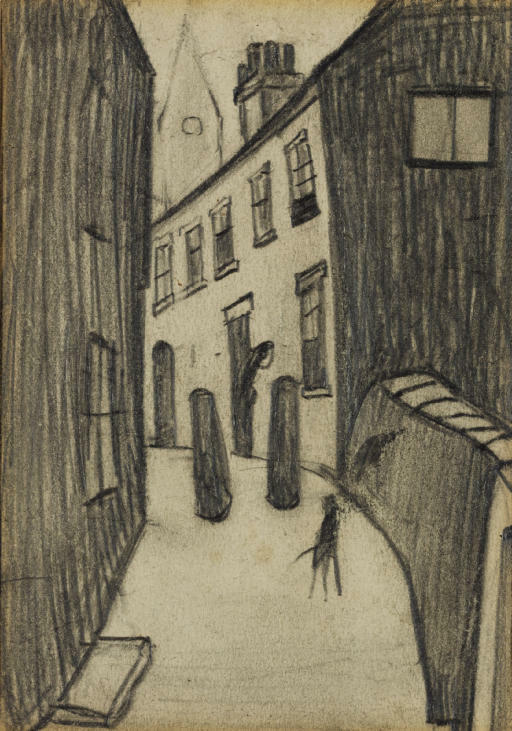 After his mother's death in 1939, he returned to Berwick and was a regular visitor thereafter, even going so far as to consider moving there in the late 1940s (see Exhibition catalogue, Lowry in the North East, Sunderland Museum and Art Gallery, 1989, p. 16).